What could be funnier than a vegetable wearing underwear? 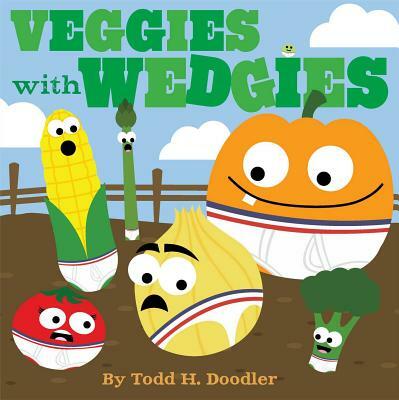 A veggie with a wedgie, of course! When Farmer John puts out his underwear to dry, he has no idea that it will draw the curiosity of all the vegetables on the farm. They think underwear looks cool. And fun. And they desperately want to wear it. But how? On their heads? Their arms? They will have to wiggle around to get a perfect fit. This hilarious story is perfect for children transitioning from diapers to underwear—and of course for those big kids who already sport it. Because, after all, underwear IS funny. And a wedgie is REALLY funny. Especially on a veggie.